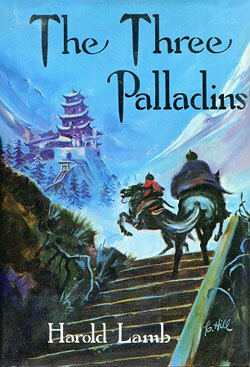 The Three Palladins is a novel of historical fiction by Harold Lamb. It was first published in book form in 1977 by Donald M. Grant, Publisher, Inc. in an edition of 1,350 copies. The novel originally appeared in the magazine Adventure in 1923. The novel is an adventure story about the rise of Genghis Khan and the fabled kingdom of Prester John.